TORONTO, January 28, 2010 /Canada NewsWire/ - The Ontario Hospital Association (OHA) and PharmaTrust(TM) are pleased to announce a new partnership intended to enhance patient access to prescribed medications and make Ontario's prescription dispensing more efficient. The OHA and PharmaTrust will collaborate on the installation of telepharmacy prescription-dispensing kiosks in hospitals across the province. PharmaTrust MedCentre kiosks offer live video pharmacist counseling and quick and safe 24/7 access to prescription and over-the-counter medications, dispensed under the complete control of a pharmacist. The PharmaTrust MedCentre allows patients to simply insert their prescription, pick up the handset and interact live with a pharmacist who provides counselling via two-way video conferencing. The pharmacist is supported by integrated safety features to ensure prescription authenticity, accuracy and patient safety. 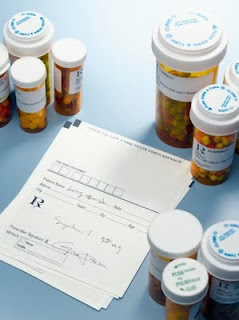 Patients at participating hospitals may choose to have their prescriptions filled on site, any time they need. For example, a parent having to take a sick child to the Emergency Department at night will no longer have to worry about finding a pharmacy that is open in the evenings, while someone in a cast or a wheelchair will no longer have to make the difficult trip of even a block or two to a drug store to get their medication. "The OHA is working to build a high performing, integrated and sustainable health care system, and this new partnership with PharmaTrust MedCentre service will help hospitals provide improved patient access to needed medications and enhanced medication management support," said Tom Closson, President and CEO of the OHA. Using video conference technology will allow pharmacists to spend more time with patients. "This technology allows pharmacists to do what they were trained to do - interact with and directly counsel patients," notes Don Waugh, CEO and Co-Founder of PharmaTrust. The MedCentre service will also be available in more than a dozen different languages (including American Sign Language). Each time a medication is dispensed, the MedCentre will automatically send a record to the prescribing physician. Patients will also receive reminder notices to refill prescriptions. "These communications will help address issues such as adverse drug reactions and non-compliance," explains Peter Suma, Chief Operating Officer and Co-Founder of the company. It is estimated that 10 per cent of hospital emergency room visits are due to non-compliance.